In April 1929 the Bishop of Southwark dedicated the first church of St. Swithun on Grovelands Road, Purley. This building was not to be the permanent home of St. Swithun's Church, and today we use it as our hall. In April 1939 work began on a new building on the same site but, because of the start of the Second World War, work was soon stopped and was not completed until 1954. 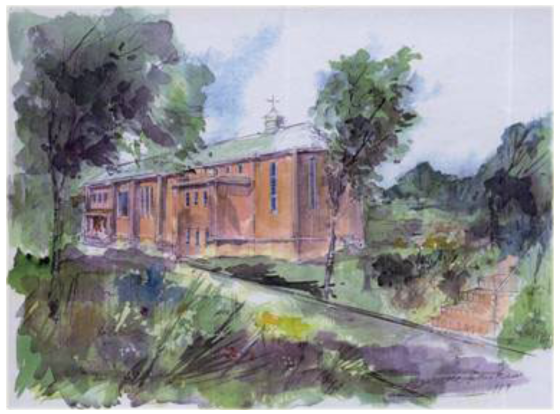 25 years after St. Swithun's was born it had a new, distinctive home. It is significant that the church building incorporates both traditional and modern styles, something which is reflected in our attitude to worship. In over 80 years of history it has seen many priests, many members and many characters. There has been a journey of faith for many people that makes this place a special one in our community. A detailed illustrated history of St. Swithun's, Purley can be purchased for £4.